Sign, sign, everywhere a sign! Tin, vinyl, aluminum and porcelain. 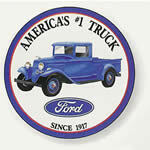 The following colorful tin signs are authentic reproductions that come with pre-drilled holes ready to hang. 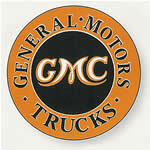 Chrysler, Ford, General Motors and Volkswagen trademarks are reproduced under license from the respective corporation. Our "Service with a Smile" policy assures you of complete satisfaction with a hassle free return and replacement service.